Chicago, Illinois—April 4, 2017–Ben & Jerry’s fans can mark April 4th on their calendars as the 2017 Ben & Jerry-est day of the year: Free Cone Day! For the past 38 years, Ben & Jerry’s has opened Scoop Shops to dish out free ice cream to fans, thanking them for being so uniquely awesome. The tradition has continued to grow, beginning in the small state of Vermont, and now spanning across the globe. 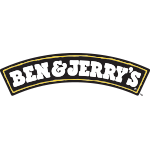 Fans are invited to Ben & Jerry’s at Navy Pier, located at 600 E. Grand, from 12:00 p.m. to 8:00 p.m. to join in on the company’s long-time tradition of thanking fans for their commitment and ongoing support. Robinson Hill and Ben & Jerry’s were founded on the idea that business has not just the opportunity, but also the responsibility to give back to the community. 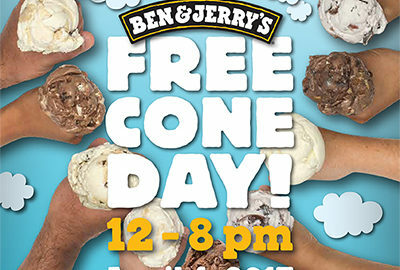 Free Cone Day is a long standing Ben & Jerry tradition when it comes to benevolent acts, and as Jerry said, “If it’s not fun, why do it?” The annual anniversary merges the two founding principles and demonstrates that giving back to the community is just as sweet as free ice cream. “We love getting involved with and giving back to our communities. It’s amazing what we can do together over shared values and several scoops of ice cream,” said Dee Robinson, President & CEO, Ben & Jerry’s at Navy Pier. Ben & Jerry’s has been a longtime advocate of social causes like marriage equality and climate justice, and ensuring that their ice cream is made in the best way possible which includes sourcing Fairtrade and non-GMO ingredients. Ben & Jerry’s continues to deliver on the chunky and funky flavors fans have grown to love and expect. In addition to dishing out the chunks and swirls, Ben & Jerry’s at Navy Pier will partner with local organization, Easterseals, to spread the word about providing opportunities for people of all ages with a range of disabilities to achieve their full potential. Together, they’re changing the way the world defines and views disability within the community. As a social justice company, Ben & Jerry’s believes in a greater calling than simply making a profit. Ben & Jerry’s incorporates Linked Prosperity into its business practices in a number of ways including a focus on values-led sourcing. The company produces a wide variety of super-premium ice cream, non-dairy frozen dessert, yogurt and sorbet using high-quality, responsibly sourced ingredients. Ben & Jerry’s, a Vermont corporation and wholly-owned subsidiary of Unilever, operates its business on a three-part Mission Statement emphasizing product quality, economic reward and a commitment to the community and became a certified B Corp (Benefit Corporation) in 2012. 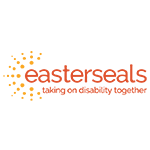 As part of its brand portfolio, Robinson Hill owns, manages and operates award- winning food & beverage and news & gift concessions in non-traditional locations such as airports and tourist destinations, hospitals and colleges. 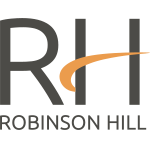 At Robinson Hill, we merge brand leadership, operational excellence and a superior customer experience to achieve exceptional performance results. Robinson Hill’s main goal is to elevate the dining and retail experience. We raise the bar with top brands, great food and, most importantly, a relentless focus on customer satisfaction. We choose to uphold our core values of leading with conviction and integrity, advancing and improving our communities, building lasting relationships and acting with drive and ingenuity every day.